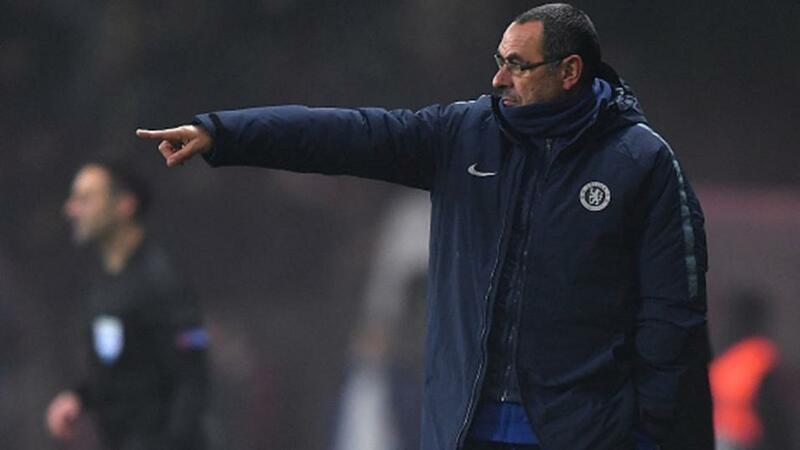 Can Maurizio Sarri point Chelsea to victory over Huddersfield? Will Chelsea get back to winning ways when they take on Huddersfield? Opta weighs up the odds. "In 13 of the last 14 Premier League matches Huddersfield’s Jason Puncheon has started, the side he’s been playing for has failed to score (10 for Crystal Palace, 3 for Huddersfield)." Chelsea are [1.73] to win to nil. Chelsea have lost just one of their last 16 matches against Huddersfield Town in all competitions (W11 D4), a 0-1 defeat in the League Cup third round in October 1999. They are [1.2] to inflict another defeat. In the top-flight, Huddersfield are winless in 10 matches against Chelsea (D4 L6) since winning 1-0 in October 1954. The draw is [8.2]. Chelsea have failed to score in three of their last six home Premier League games, more than they had in their previous 21 combined in the competition (2). Under 2.5 goals is [2.44]. Chelsea are looking to avoid three consecutive Premier League defeats for the first time since November 2015. A Huddersfield win is priced at [19.0]. Huddersfield have won none of their 19 Premier League games against sides who aren't newly-promoted to the division this season (W0 D3 L16), with their two wins coming against Fulham and Wolves. Chelsea are [2.3] to win both halves. The side starting the day bottom have lost 11 of their last 12 away Premier League games against 'big six' sides, by an aggregate score of 3-36. Chelsea are [1.7] to win half-time/full-time. Huddersfield striker Laurent Depoitre has scored both of Huddersfield's Premier League goals against Chelsea, netting at the John Smith's Stadium in December 2017 and Stamford Bridge in May 2018. Depoitre is [7.0] to score again. The last permanent Huddersfield Town manager to win his first away league match in charge was Neil Warnock in August 1993, a 3-2 win at Rotherham United in the third tier. Huddersfield are [16.5] Draw No Bet. Chelsea's Eden Hazard has had a hand in nine goals in his last seven Premier League appearances against sides starting the day bottom (5 goals, 4 assists). Hazard is [1.91] to find the net. In 13 of the last 14 Premier League matches Huddersfield's Jason Puncheon has started, the side he's been playing for has failed to score (10 for Crystal Palace, 3 for Huddersfield). Chelsea are [1.73] to win to nil.